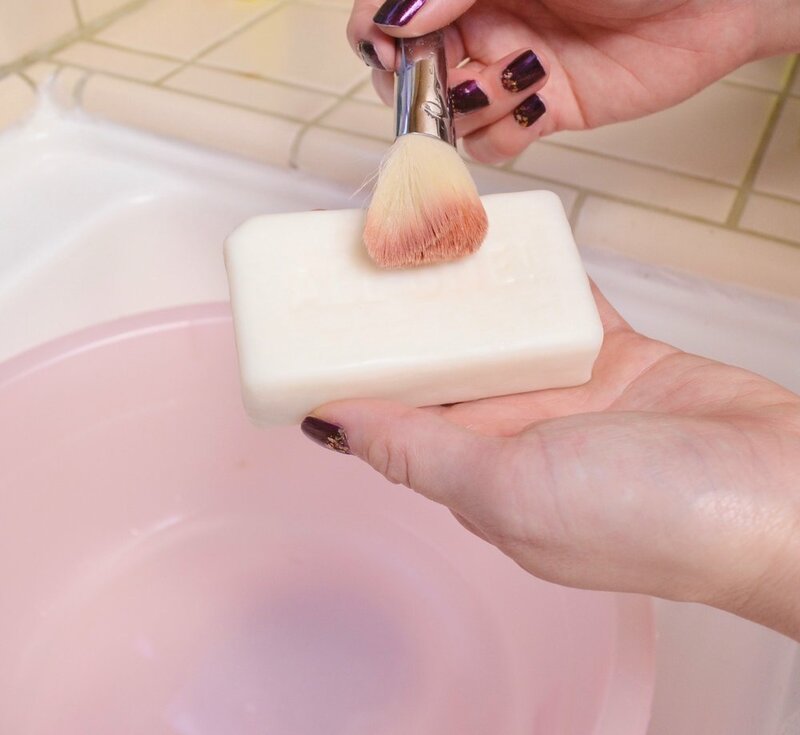 Baby shampoo, olive oil and dish soap, Beauty Blender’s solid cleanser, Sephora's solid cleanser, Bare Minerals brush cleanser, and Eco Tools brush cleanser, are just some of the variations I’ve tried. The only one comparable to Dr. Bronner’s are the solid cleansers from Beauty Blender and Sephora, but they cost way more. Oftentimes when using other cleansers on my foundation brushes/sponges, residue and makeup is still left behind after repeated washings. Grroossss. Dr. Bronner’s Pure Castile Bar Soap takes off waterproof formulations with ease and breaks down thick, heavy foundations. Did I mention this also cleans off lipstick and lip stains? It's like magic!! This soap doesn’t save me from having to clean my brushes, but it does make it easier and quicker to get through them all! I've been using this method for a few years now and my brushes still look and work like new! I haven't experienced any negative reactions or decreased quality from my brushes so I really believe this is the best cleanser out there!